Ex-Berkeleyite Mortenson's book Three Cups of Tea: One Man's Mission to Promote Peace ... One School at a Time has been hailed far and wide as a testament to the power of human goodwill. But it came under harsh scrutiny during a CBS investigation whose results were aired last night on 60 Minutes. 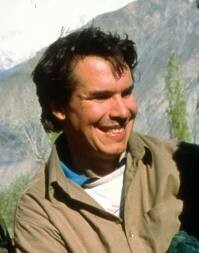 Allegedly a memoir about how Mortenson's early-'90s mountaineering misadventures spurred his gratitude toward rural villagers in Pakistan and his mission to build schools for girls throughout that region, the book is now being slammed as at least a partial fantasy. After traveling to Pakistan and Afghanistan and interviewing people who interacted there with Mortenson, CBS researchers claim that the author fibbed about the chronology of events in the book and about having been abducted by members of the Taliban. In Three Cups of Deceit, the debut release from online narrative-journalism outfit Byliner Inc., Into Thin Air author Krakauer examines the Three Cups scandal, which also involves Mortenson's school-building nonprofit, the Bozeman, Montana-based Central Asia Institute. Krakauer was once a Mortenson supporter who donated over $75,000 to CAI. But he severed those ties in 2004, troubled by high turnover on CAI's board and by what he calls Mortenson’s lack of accountability. Since 1996, CAI has raised more than $60 million — much of it from devoted readers of Mortenson’s books. But Krakauer claims that Mortenson, a former Berkeley nurse who has been nominated three times for the Nobel Peace Prize — has misused millions of dollars of these donations and has lied about important aspects of his work, according to a bulletin just received from Byliner, Inc. In the spring of 2010, Krakauer finally read Three Cups of Tea. Familiar with the story and its author and feeling more and more skeptical with every chapter, he decided to look into some of Mortenson’s more extreme claims. According to Byliner, Krakauer "discovered that many of the anecdotes in Mortenson’s books — which Mortenson repeats again and again in his sold-out lectures around the world — are outright fiction, including his popular account of being held hostage for eight days by the Taliban. "Worse, Mortenson has grossly misused CAI funds. In addition to refusing to account for millions of dollars spent in the field on CAI business, Mortenson continues to bill expenses related to his speaking engagements (including chartered jets and deluxe hotels) to CAI, which receives no royalties from Mortenson’s bestsellers. For accounting purposes, CAI reports these vast sums as 'program expenses,' giving donors the impression that a high percentage of their money is going to the construction and staffing of CAI’s schools." According to 60 Minutes, many CAI schools now stand empty, and many of those that Mortenson claims to have built simply do not exist. At Krakauer’s request, Three Cups of Deceit will be available as a free, downloadable PDF for 72 hours. After that, the story will be sold as a Kindle Single for $2.99. All of Krakauer’s proceeds from the sale of Three Cups of Deceit will be donated to the American Himalayan Foundation's STOP Girl Trafficking program.